- Has been tuned in for the final battle that appeared in Gaiden [Mobile Suit Gundam SEED DESTINY ASTRAY B] [blue frame D] is kit in MG series! 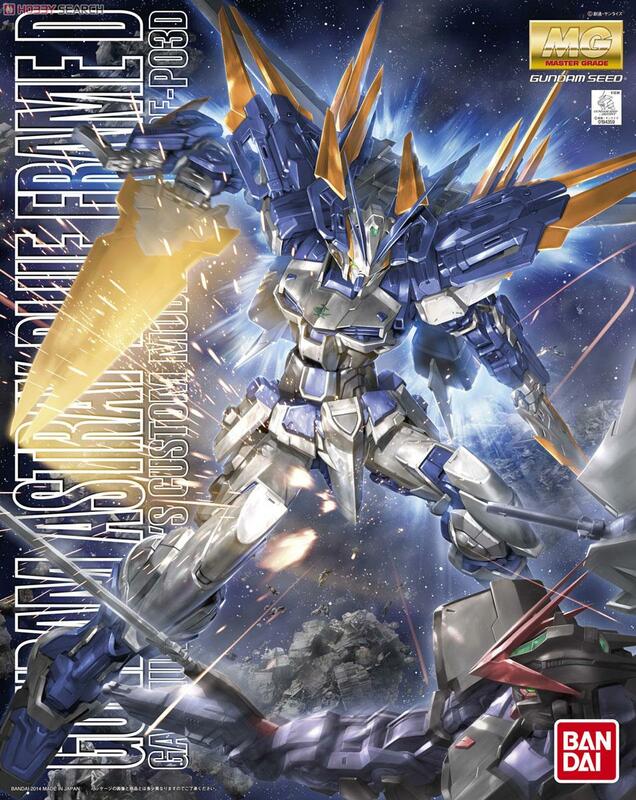 - Blue frame D is of MG than [Mobile Suit Gundam SEED DESTINY ASTRAY B]. The new shape a variety of additional equipment such as Dragoon backpack or with improved Yale striker. In addition (Standing, Sitting cockpit) to Murakumo 劾, Figure Elsa Weill of (falling) is also included. - Detachable Dragoon systemic (entity sword). The change in the large sword by superimposing the Blade cancer of the arm. Total length up to 200mm or more. - In the back, and wearing a backpack with improved Yale striker. Based on the MG Aile Strike Gundam Ver.RM, and newly built connectors to Astray back. - Reproduced in the new shape wearable entity sword to each section. Marking of the new design is also included.